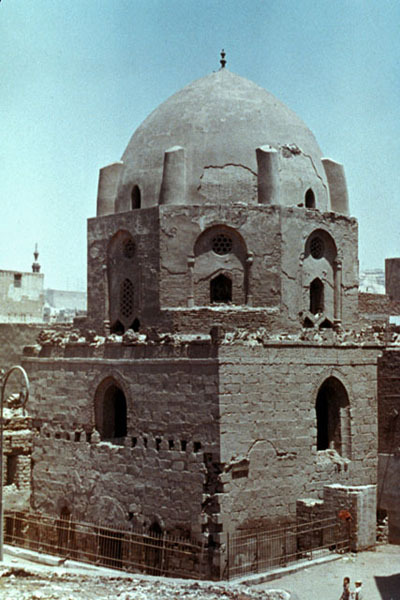 Fatma Khatoun Dome was originally a mausoleum and once part of Al-Madrasa Al-Khatuniya and Madrasa Umm Al-Saleh. During the Ottoman period, it was used as a Sufi hostel. The madrasa (school) no longer exists. 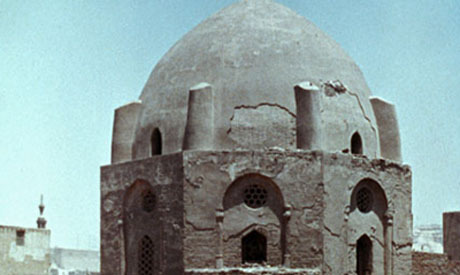 It is located on Al-Ashraf Street near As-Sayyida Nafisa mausoleum. It was founded by Al-Sultan Qalawun for his wife Khawand Khatoun. The mausoleum is composed of an inner square, a minaret, and two rows of stalactites within an outer arch. The mausoleum of Al-Ashraf Khalil was founded in 687 AH / 1288 AD by Al-Sultan Al-Ashraf Salah El-Din Khalil Ibn Qalawun. The lower part of the mausoleum is built with stone crowned stalactites, while the dome is built with brick. Mohamed Abdel Aziz, director general of the Historic Cairo Rehabilitation Project, explained that the development project aims to preserve both domes from water damage by installing a new drainage system. It will also decrease the level of humidity, consolidate the walls and repair cracks. The open area in front of the domes, he added, is to be converted into a public park, including an open-air theatre, cafeteria, a library and a playing area for children. An administrative building is to be provided. Abdel Aziz pointed out that this project is part of a long term plan to develop Al-Khalifa area, both archaeologically and urbanely, in a step towards upgrading its residents’ living standards as well as promoting tourism. The project is carried out in collaboration with Al-Athar Lina Initiative (The Antiquity Is For Us) and Built Environment Collective (Mogawra).